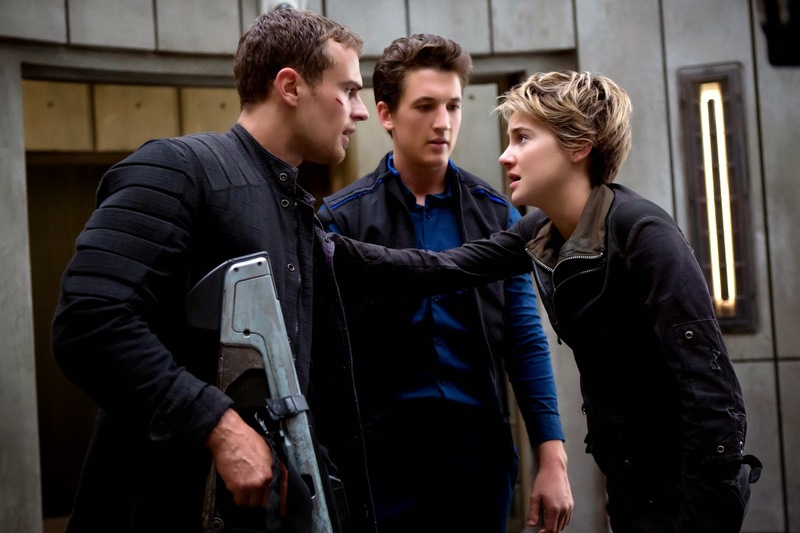 "Divergent is a lukewarm bowl of bland but passable punch, and Theo James is the turd floating in it." Despite this, I expressed some optimism for the franchise going forward because perhaps the first film was merely serving as a decent but completely forgettable way to kick start something exciting and interesting. Perhaps the talents of Shailene Woodley would be given far more room to shine because in order for these types of stories to work, the material needs a star (Jennifer Lawrence as Katniss, for example). Perhaps the character Four, played lifelessly by Theo James, would get hit by a train during the first half of the film. Addressing these in order: no, no, and close call but no again. I would be lying if I said Insurgent was a complete failure. Thanks to some really wonderfully realized set pieces and intense action sequences, it delivers the occasional thrill but unfortunately those moments are few and far between, and in a strange way they almost do a disservice to the material. 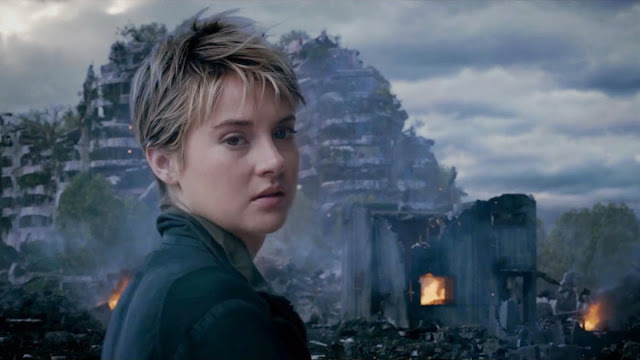 What I mean is, in Divergent very little occurred to actually get me enthused, so the entire experience played like one giant blob of mediocre and my expectations for more never rose above a simmer. Insurgent utilizes some fantastic visual effects and decently filmed action and because of this I perked up a bit, thinking maybe, just maybe it was about to go in some compelling directions and get me intrigued for the next entry in the franchise. Not only does it not deliver in this regard, the small amount of good makes the bad stick out like a sore thumb. Bad acting from some, especially the previously mentioned Theo James. Seriously, I am buying zero of what this dude is selling. The emotions of his character might resonate more if it were played by a tuna fish sandwich. I look into this handsome fellow's eyes and search for any sign of a soul but I come up empty. Bad casting of the very talented Miles Teller in a role that doesn't utilize any of it, and I swear I have seen Naomi Watts be really good in stuff in the past. Just last year she fit in with the brilliant ensemble of Birdman just fine, a film that went on to win Best Picture, but in Insurgent it felt like she was reading off of a really poorly written cue card. She read lines as if the director was yelling cut when she actually showed some emotion, and then he would inform her of his demands to deliver these words as if she had died a week ago. Insurgent actually has a few scenes in it that I would describe as being "cool", which is something I couldn't say about Divergent. Despite this, I am giving the second film of the trilogy (or is the last film split into two? Who the hell can keep track of these things anymore?) a lower grade than the first, because outside of those moments of cool is a pile of terribly paced, meandering nonsense.